Attorney Hughes provides aggressive representation in General Litigation services, including the representation of contractors pursuing payments owed and of small business owners in shareholder disputes. Attorney Hughes litigates on behalf of individuals and insurance companies concerning insurance coverage issues, as well as personal injury representation. He represents estates, trusts or beneficiaries concerning estate and trust issues. 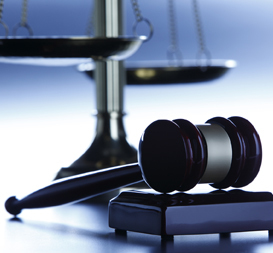 Attorney Hughes is an experienced litigator who represents clients expertly. He has successfully tried both jury and “jury waived” cases in the District, Superior, and Probate Courts of the Commonwealth and before the United States District Court. He has also represented clients in appellate matters before the Massachusetts Appeals and Supreme Judicial Courts and the United States First Circuit Court of Appeals. He has submitted Memoranda to the Supreme Court of the United States.